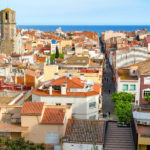 Sant Antoni de Calonge is actually part of the picturesque old town of Calonge, located on a hill in the heart of the Costa Brava, about 4 kilometres from the coast. 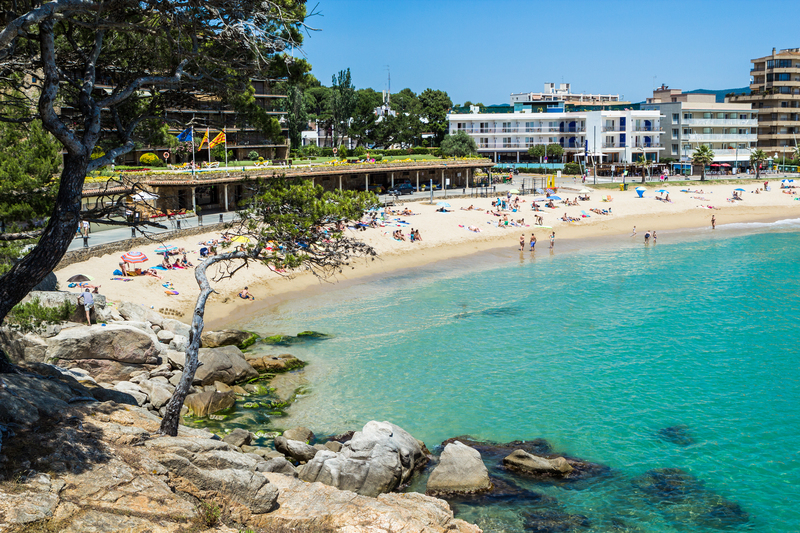 Sant Antoni de Calonge lies to the west of Palamos and just below the seaside resort of Calella de Parafrugell. The old mediaeval village of Calonge developed in the 12th century around a large castle, the Castello de Sessa. 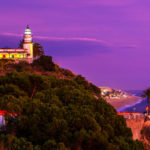 In recent decades, Sant Antoni de Calonge has become a popular holiday destination in Spain with its mix of beautiful beaches, a friendly atmosphere and a variety of cultural attractions. 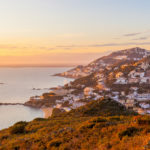 Sant Antoni de Calonge enjoys the mildness of the Mediterranean climate in summer, which is tempered by a refreshing sea breeze, and mild winters with occasional spouts of rain. Find your holiday villa here! Sant Antoni de Calonge, the modern part of Calonge, offers different facilities, especially built for tourism and a wide range of restaurants, bars, shops and boutiques. The modern promenade comes alive especially during the summer months. Here you will find numerous restaurants, tapas bars and nightclubs that guarantee a lively nightlife. 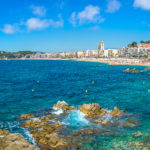 Those who are looking for a bit more variety can easily get about by taking the train to one of the neighbouring seaside resorts such as Playa de Aro, Palamos, Sant Feliu de Guixols, Calella de Palafrugell or Begur. The golden fine sandy beach of Sant Antoni de Calonge extends for a distance of 2 kilometres. Showers, restaurants and water sports: it has everything that tourists need to have a great time. 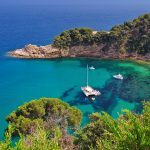 As in the rest of the Costa Brava, the coast of Sant Antoni de Calonge is characterised by a typical mixture of beautiful bays and caves. Here too, these are the perfect ingredients for a pleasant walk in nature or a diving excursion in crystal-clear waters. A stroll in the historic mother town of Calonge is definitely worthwhile. The baroque church of Sant Marti was built in the 18th century. Calonge’s main activities are mostly located in the main square or Plaza Mayor, where you can find the great mediaeval castle. 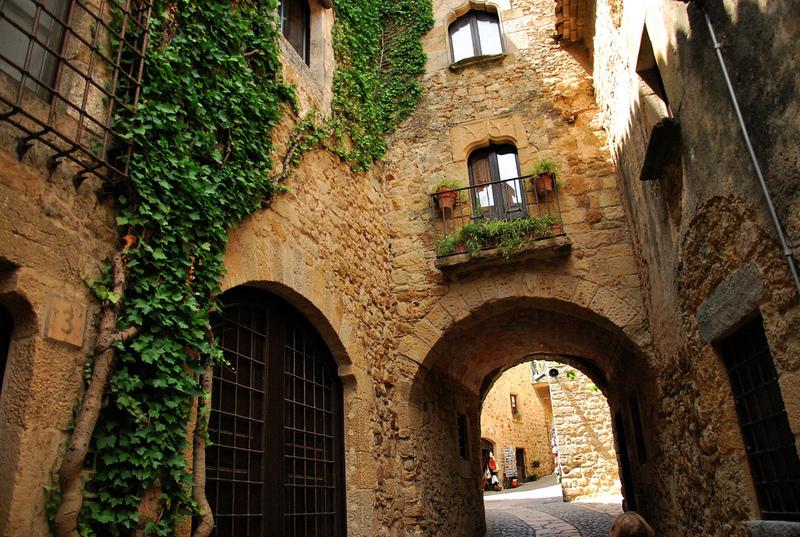 The castle is the cultural centre of Calonge and Sant Antoni de Calonge, where several music festivals are held. It is also in this centre that a large annual mediaeval market takes place during Easter week, an attraction in itself. Esglesia de Sant Martí. This baroque church dates back to the 18th century. 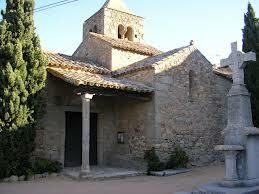 In Sant Antoni de Calonge you will also find some important dolmens and menhirs such as the Dolmen de Puig ses Forques. Hiking trails will lead you through beautiful forests, past several dolmens, beaches and historic monuments. And to finish the hike, you can relax on one of the promenade’s terraces. Catalan gastronomy is rich and varied. Sant Antoni de Calonge serves mainly Mediterranean dishes with fish, seafood, fresh vegetables, olives, rice, pasta and olive oil. The traditional Catalan dishes that you should certainly try include bread with ham or chicken, toast with olive tapenade or dried tomatoes and tortilla. On the Costa Brava, you definitely must also try the sardines prepared in different ways: from grilled sardines (sardinas à la plancha) to marinated sardines. 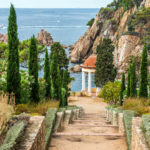 Did you know that holidays on the Costa Brava are much cheaper than staying in a hotel and even better value for money than camping? Take a quick look at our selection of holiday villas with or without pool. Always with our best price and 110% satisfaction guarantee! Book now with Club Villamar. Book your villa in Sant Antoni de Calonge, here!